Empathy in business may seem like a very odd concept, but I believe it could be the strongest trait a developer has when building trust with clients. Learn how empathy has served me well in my freelancing career. My shoe size is US 13, so he wasn’t being literal. This ability to understand and care about other people’s points of view is fundamental to how I run Anecka and how I try to live. All of the statements above are focused on what individual developer wants, not what the client needs: maybe they like WordPress because of they know the backend, maybe the extra breakdown is necessary for auditing, maybe MySQL is the platform of choice because they have other reports stored in MySQL. Empathy might be confused as weakness or softness, but I consider it strength. A confident, strong person secure in their thoughts isn’t scared to listen to another point of view and try to understand another person’s position. By showing respect to the other side, you can quickly defuse a tense situation and work on a productive outcome for everyone. It would be ridiculous to fish with a hamburger, but we do this everyday when dealing with clients when we talk about the technologies or the things we want out of the project. 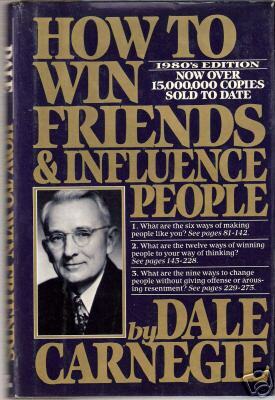 I think the biggest misguided criticism of “How to Win Friends” is that it seems like Carnegie is telling us we need to fake caring about others as a trick to get them to do what we want. That’s insane. That’s like saying we trick our friends and family into doing things for us by faking interest in their lives. No, we do things for them and they do things for us because they love us (and we them). So our client’s have to be our friends? Nope, but we do have to remember that they value different things than we do and care about different things than we do. As a developer I care about clean and maintainable code, but my client doesn’t. However they do care about keeping maintenance costs low which I can easily connect to the clean code. Knowing this it’s easy to for me to explain why testing and spending time on writing correct code is important to the client’s interests. Empathy can also be a great tool for dealing with conflict or disagreement. How often do we run into a particularly challenging client that just seems impossible to work with? It’s always a fight with them over one thing or another, they ignore your recommendations at best or constantly argue for the exact opposite. You know you’re right and the client is wrong. You’ve proven again and again that you know what you’re talking about but the more you argue the deeper they dig in their heels. So my question is, what makes you think you’ll gain anything by continuing to argue? Isn’t reasonable to assume that they think they’re just as right? Again, yielding your ground in the interest of understand where the client is coming from and why they’re arguing with you isn’t weakness. It’s called listening. After all, you’re client is the expert in their business and their market, you’re not. This doesn’t mean you’re wrong, but there could be something you’re missing and by arguing with the client you’re not giving them a chance to articulate their real concerns. Instead of critiquing, ask sincere questions. Instead of “You should do this” say “Interesting, why x approach over y?”. 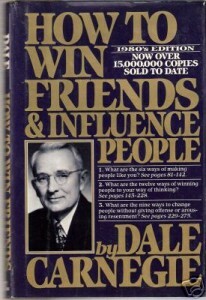 I highly recommend reading “How to Win Friends and Influence People” also “The Trusted Advisor” by David H. Maister is a great guide as well. The great news is that I believe empathy is a trait we all share innately as people, all it takes is just remembering to practice it everyday in our lives.